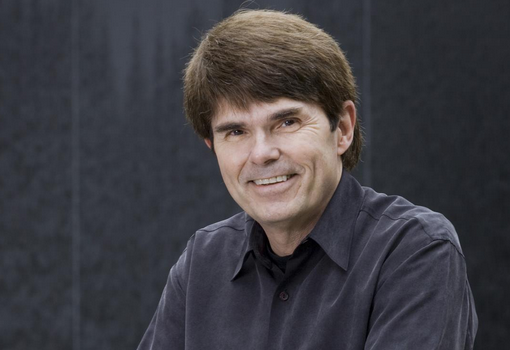 Dean Koontz is one of the best-selling authors of all time. He just released “Saint Odd,” the final book in one of his most popular series, a series filled with stories inspired in part by troubles in his own life. “I’m just the guy who lives down the street, and I do books instead of sell cars,” Koontz said. If that’s true, then Koontz is the Henry Ford of authors. He’s written around 100 different books from sci-fi and suspense to horror with a touch of satire. “He came to me in the most amazing way. I was working on another book, and into my head came the line, ‘My name is Odd Thomas. I lead an unusual life,'” Koontz said. Koontz has also led an unusual life. He grew up poor in Pennsylvania and calls his mother Florence a saint, his father a sinner who once tried to stab him. “My dad had 44 jobs in 34 years. He was a violent alcoholic,” Koontz said. When Koontz’s father was 81 years old, he tried to kill his son. “I ended up putting it in a novel. We’re merciless, us writers. We use everything,” Koontz revealed. “You know, it’s a terrible thing to say about your own father. I have no happy memories. I literally cannot think of one.”He said while those memories were something he had to overcome, they also helped define who he is today. Right now, Koontz is mourning a loss. He’s just released the eighth and final installment in his series about his everyday hero, Odd Thomas, a fry cook who sees dead people. The books have sold 20 million copies. I’m looking forward for your subsequent post, I’ll try to get the cling of it! for this fantastic read!! I definitely really liked every little bit of it and i also have you bookmarked to check out new information in your web site. bCkhuN Really appreciate you sharing this blog.Really looking forward to read more. Fantastic. QbgxBi Great, thanks for sharing this blog article. Awesome.